Animal print has featured heavily in my outfits recently; leopard, zebra and snake prints are really having a moment, although they never really go out of style. 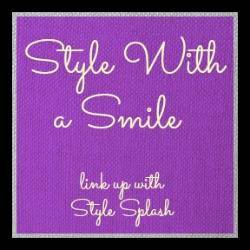 They add an interesting dimension to any outfit, whether it’s in the form of a bold statement piece or confined to accessories. 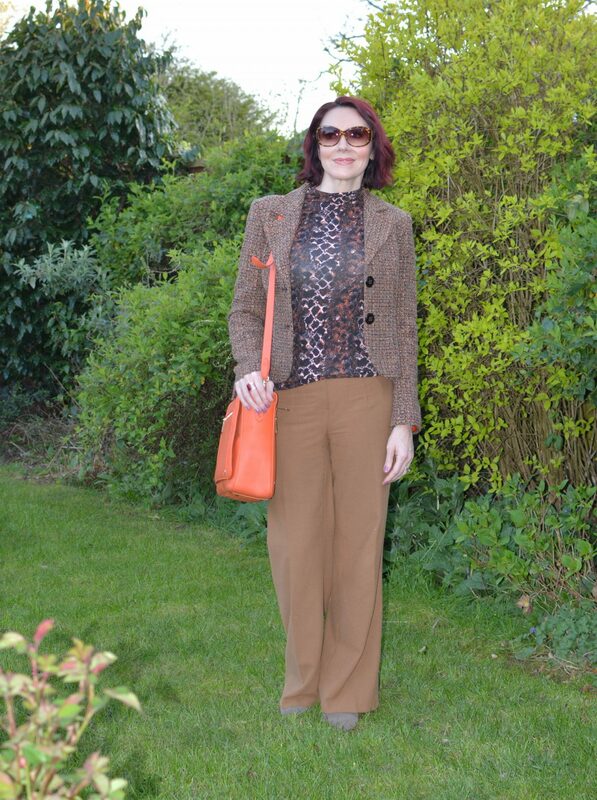 I mixed the snake print and tweed with orange accents to add some colour to the brown tones. The majority of snake print tends to be of the grey, black and cream variety, so I was pleased to find this top in a warmer colour palette. It’s a thin stretchy jersey fabric, so great for layering under a jacket for a smart office-appropriate outfit. 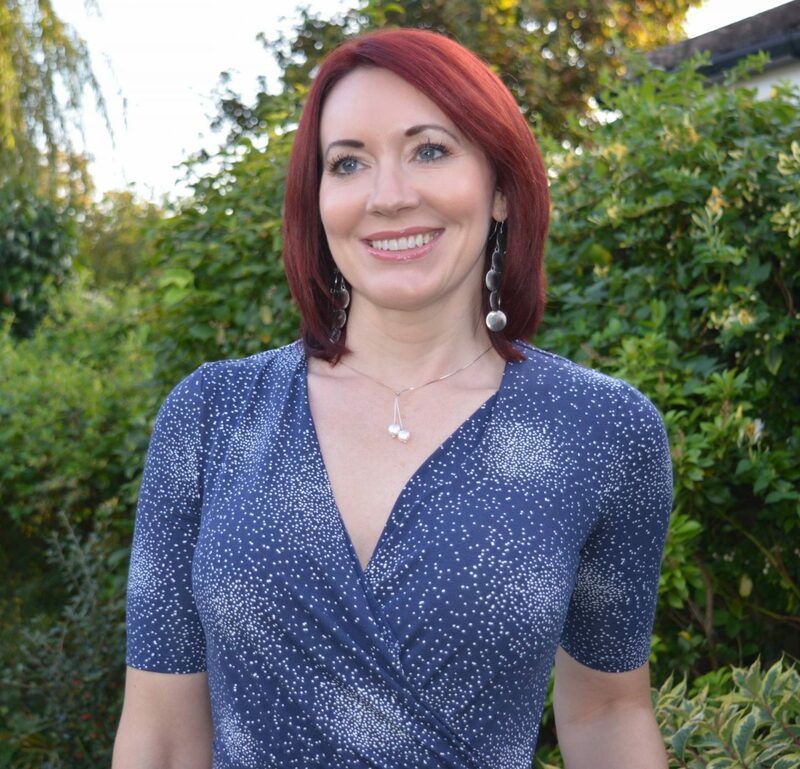 The top is also available in leopard print (which obviously I had to buy too!). 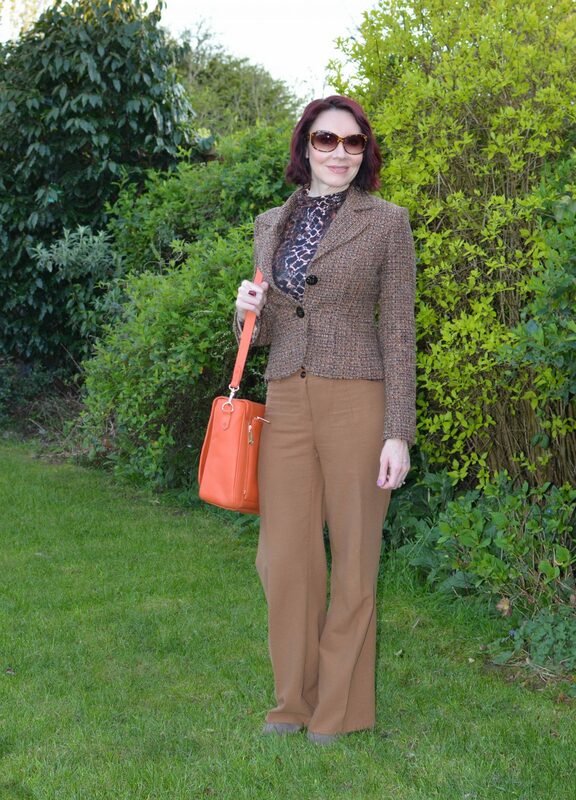 This Marks & Spencer tweed jacket was a fabulous bargain from a charity shop. Some of my favourite jackets were charity shop and eBay finds. 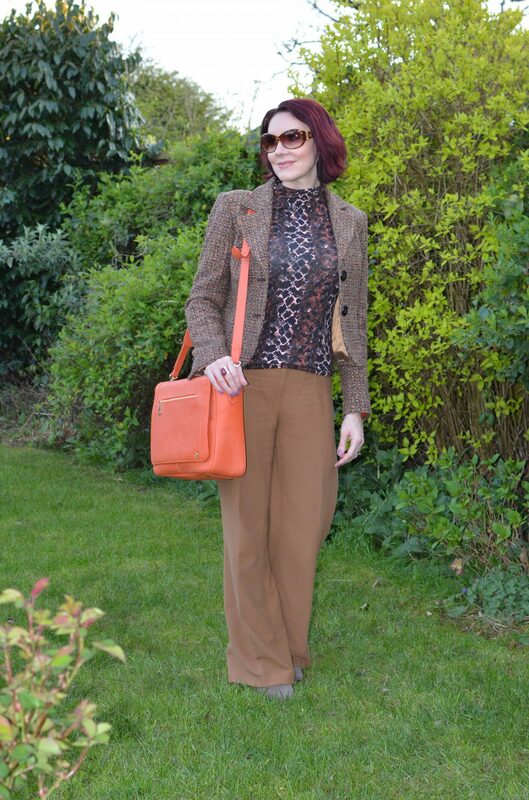 I mixed the snake print and tweed with orange accents to add some colour to the brown tones. 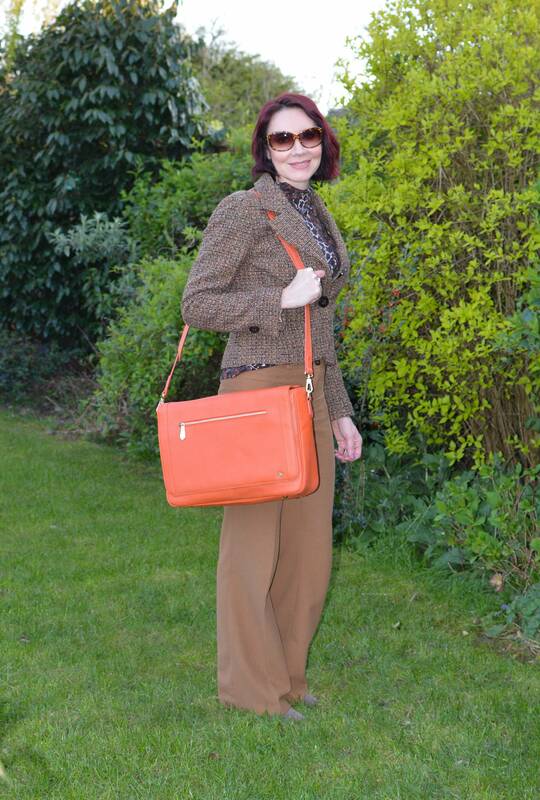 After using my aubergine Jennifer Hamley Model KT bag a lot lately I thought it was time to give the orange one some love. 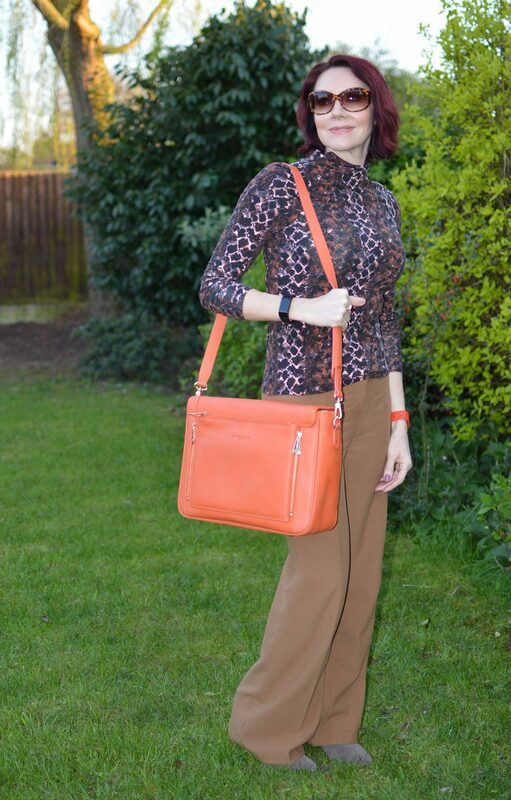 These tan brown trousers are my work wardrobe heroes, they’re so comfortable. You may recall seeing them with my camel coat and also with a dark green jumper. (In fact it was so cold when I got up for work very early in the morning that I wore my camel coat over the jacket!). 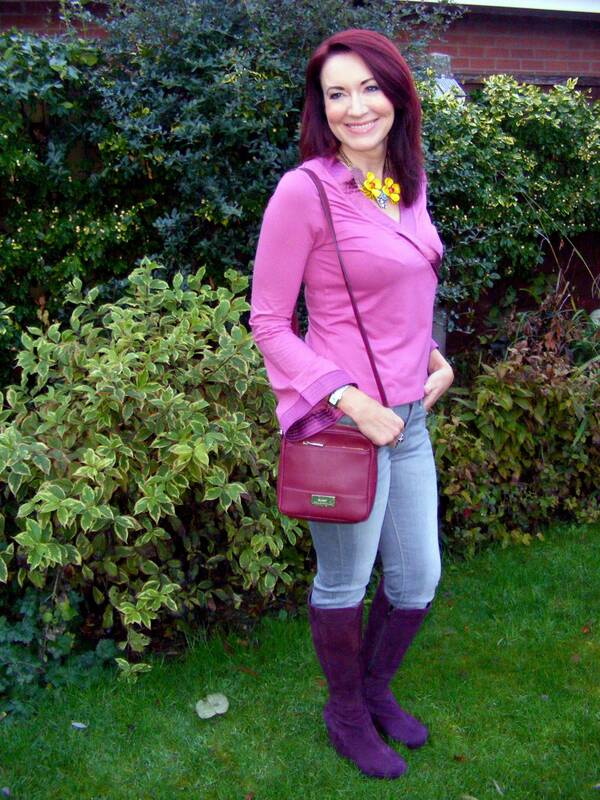 The trousers are really old now…I first wore them on the blog almost eight years ago! That’s what you call good value for money! 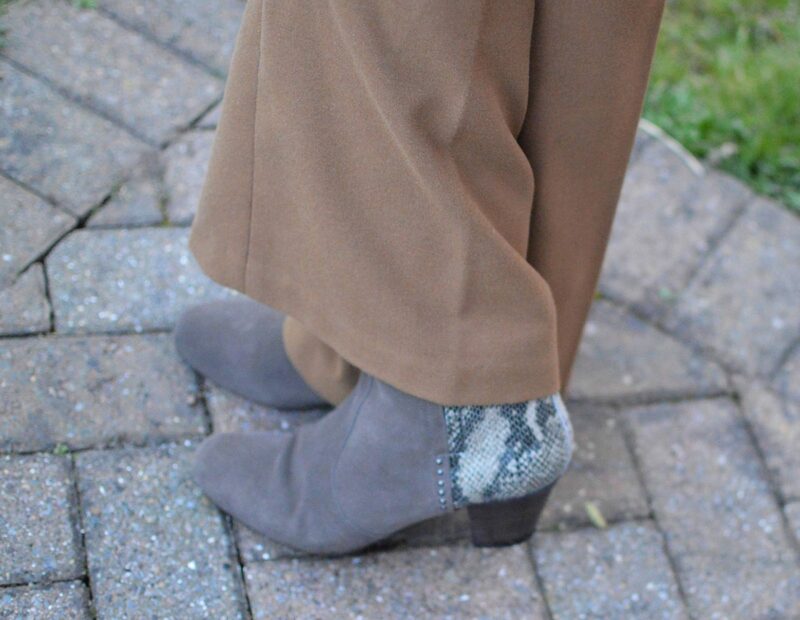 I added a second helping of snake print with my Marks & Spencer Footglove ankle boots. 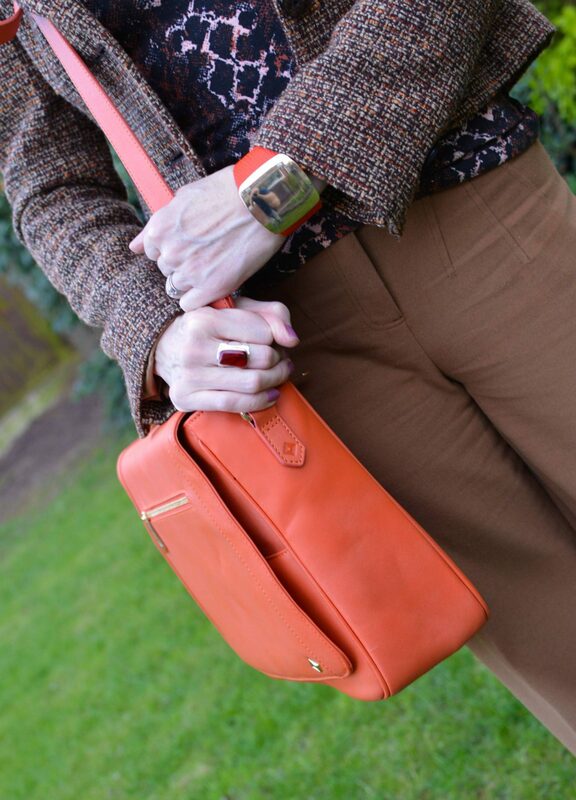 The orange faux leather bracelet matches the bag almost perfectly…that was a stroke of luck! What’s your favourite animal print at the moment? Are you more of a leopard or snake print fan? Debbie of Fashion Fairy Dust, Laurie of Vanity & Me and Katie of Hello Katie Girl! Love the snakeskin accents in this look as well as the pop of color with the bag! Perfect work look. Thanks for the link up! I love leopard the most. But I do have snake print too. The colors of that top are gorgeous. Amazing how old those trousers are! I like all animal print to be honest. I have a few things that old too. Excellent value. Beuaitul neutral look . I love the snakeskin top, great fit and the booties are so cool too! 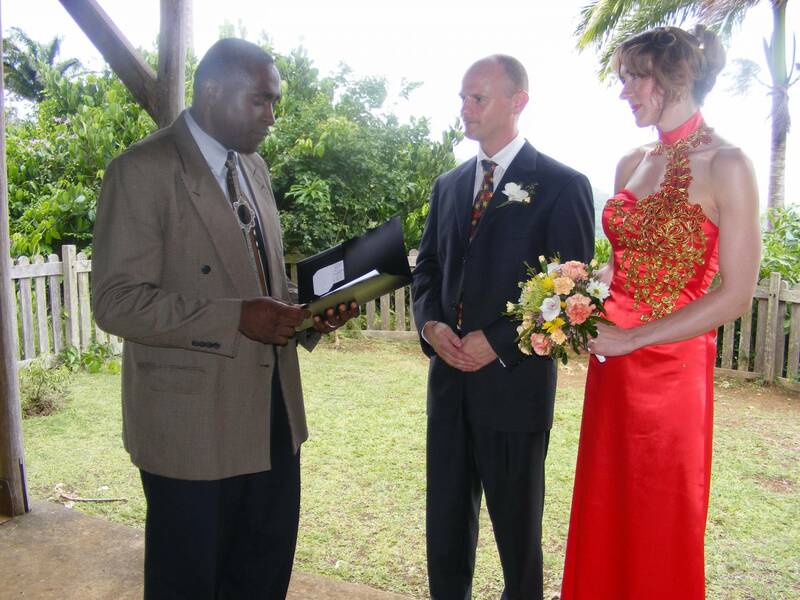 I love orange with this mix of brown and grey tones, it looks wonderful. The tweed jacket is great! That’s such a unique snake print—I love how a different scale (pun intended) or color can make it look really unique! I love how you added in the different animal prints. I’ve been so loving the snakeskin lately!! I have a snakeskin blouse on its way to me and can’t wait to wear it! 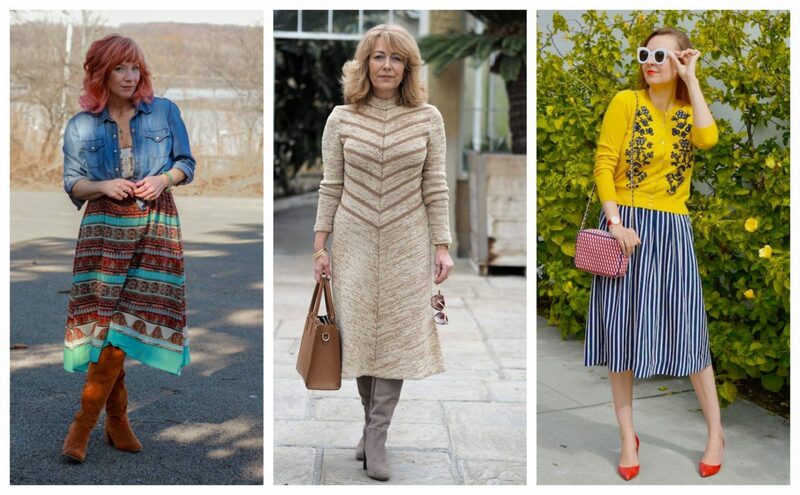 I love this trend! That’s a great outfit for the office. Love the tweed jacket. Brilliant combination, Emma! I just picked up a snakeskin top that is a bit cropped. I am wanting to wear it but am feeling fearful of the midriff baring bit, but I’m gonna go for it anyway once it gets warm enough! I love the colour of your bag!! Emma, the orange bag really brings out the colors in that animal print!! And the booties are so cute. Great neutral outfit!